Dating back to the 17th century, the Christian IV Brew house was not original built to brew beer. The building was constructed by Christian IV for having a defense building that would protect the city from cannon attacks. Soon the building was considered redundant and beer was brewed here for the soldiers instead. The brew house was functional till 1767 when it caught a fire. The present day high tiled roof seen here was installed when the building was rebuilt. Today, the brew house holds 384 gorgeous sculptures from the King’s own collection including priceless statues of ‘The Trojan prince and abducted Helen’, a Norwegian monument and a collection of statues of farmers and fisherman (original sculptures from the Valley of the Norsemen carved by Johann Gottfried Grund). The place is the perfect attraction for exclusive art lovers. Love this? Explore the entire list of places to visit in Allerum before you plan your trip. Fancy a good night's sleep after a tiring day? Check out where to stay in Allerum and book an accommodation of your choice. A very interesting place also for those whose knowledge of sculptures is scarce: I learned a lot. Apparently not well-known among tourists since I was the only visitor in the museum at the time I went ther last week. It was a bit eerie to walk through the attic all alone..
A very unique architecture .. Many Flores on a slanting tiled building with windows on the different floors!! 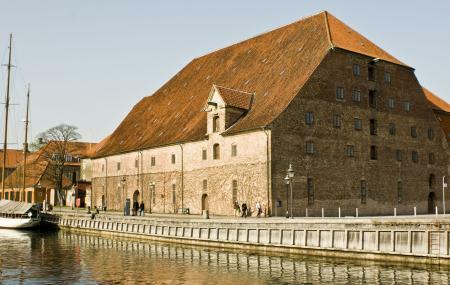 Christian IV's Brewhouse is a building in Copenhagen, Denmark, dating from 1608. In spite of the name under which it is known today, the building was not originally built for the purpose of brewing beer. Closed to public until summer 2017 for renovation.